Like sequels to films, follow ups to early blog posts may not be as good. But when I wrote my first punk rock playlist for training, there were many tracks I listen to that I omitted. So here are five more great tracks. Play this track at the start of your workout, feel the trumpets at the beginning to get you pumped and get moving. Grabbing a swiss ball to do air drumming is optional. This is a long track at 14 minutes – not the typical short punk track I know, but perfect for when you want a good song to get you relaxed into a long run. 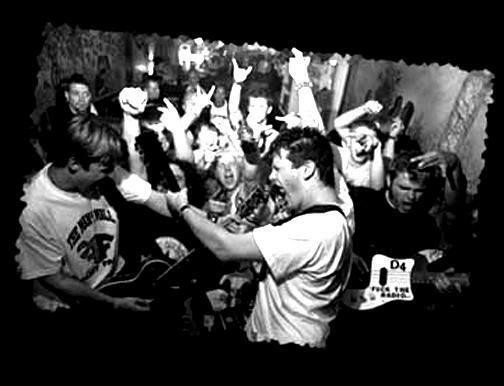 I included Teenage Bottlerocket in previous playlist and here they are again. No surprises as they go hard and fast, I could recommend just listening to Teenage Bottlerocket album during a workout, but this track is a stand out track. So there you go – five more tracks to add to your playlist. If you want more punk songs to listen to in the gym, don’t forget to look at my original training playlist or drop me suggestions of any punk tracks you like to work out to below.